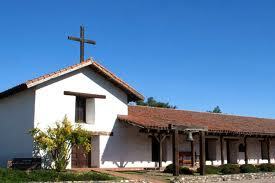 Mission San Francisco Solano was founded 4 July 1823 (21st in order) by Padre Jose Altimira. The Mission is named for St. Francis Solano, missionary to the Peruvian Indians. The Indian name was thought to be Sonoma. Now part of the Sonoma State Historic Park, the Mission houses the Jorgensen watercolors of Missions of California. There is no active church at the Mission.